Paul Rodgers Guitar String Pendant made from Paul Rodgers’s guitar string by jeweler and breast cancer survivor Elisa Guida. Pendant is app. 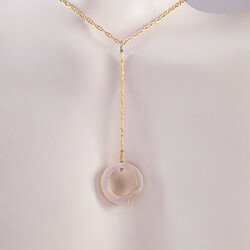 2 1/4″ and includes a mother of pearl circle disc. 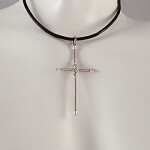 Comes with a 16″ or 18″ gold filled chain. This piece is made to order and takes approximately 5-6 weeks to complete. These are hand made and may vary slightly.